This printable IS NOT designed to fit Hobonichi Weeks kits. The proportions of a Hobonichi and the half sheet Happy Notes are different. While every effort has been made to maintain a similar look and feel, the set up is not 100% the same. This printable DOES NOT offer a complete file and only offers individual sheets. Please be 100% certain that you would like to purchase this listing as there are no refunds. 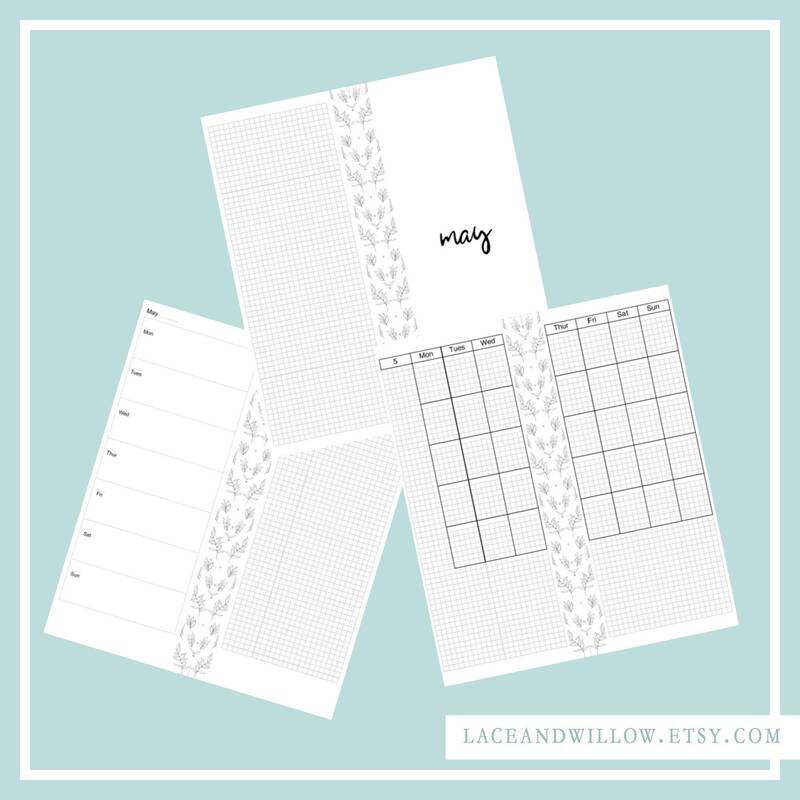 This The Happy Planner insert is designed to fit into the brand new half sheet planners. Are you interested in Hobonichi planners, but don’t want to give up your Happy Planner style? Then this printable is for you! These The Happy Planner inserts come with crop guides to ensure easy cutting. This insert is pre-sized for standard 8.5"in x 11"in paper. This insert is a MONDAY start for both the monthly and weekly sheets. A printer that has borderless printing enabled is required. You WILL NEED a program to open and print these PDF files. Most computers offer programs automatically, but if you do not have one available, please do a search for "Free PDF software." If you are interested in creating a full PDF with all of these files, visit a PDF merge website.